A couple of weeks ago I've read and absolutely loved (why have I not written a review yet? Beats me) The Secrets of Attraction by Robin Constantine so of course I had to write her an e-mail asking for an interview. To my surprise she actually said yes! So today I am bringing you her wonderful answers to my questions. Madison Parker is on fast-forward. Working toward a scholarship for a summer art program, she already has her future figured out. But when a visit from a family friend turns her life upside down, everything she thought she knew becomes blurred. All she wants is to stand still for a moment. Jesse McMann is stuck on repeat. Reeling from a breakup that shattered his heart and his band, Jesse divides his time between working as a barista and trying to find the inspiration to write music again. All he wants to do is move forward. The night Maddie strolls into Jesse’s coffee shop after yoga class, the last thing on his mind is hooking up, but her smile and witty comebacks are hard to ignore. The spark between them is undeniable, but once-a-week flirting is hardly the stuff of epic romance. 1 – Describe The Secrets of Attraction with a haiku. 2 – What sparked the idea for The Secrets of Attraction? Was it the simple idea of girl meets boy or something else entirely? When my publisher acquired my first novel, The Promise of Amazing, my editor asked me if I would be interested in writing a companion novel from Madison’s point of view. I loved the idea! Madison is such a different character from Wren (the female protagonist in PoA) and it was fun fleshing out her story. I also always wanted to write a band book – great potential for tension and playful scenes, so that’s how Jesse and Yellow # 5 came about. My husband plays guitar and was in numerous bands, and I took a lot of inspiration from that as well! 3 – What do you like most and least about your protagonists Madison and Jesse? Madison: I love Madison’s fashion sense, her daring and what a fierce friend she is to Wren and Jazz. What I think she can work on is thinking before acting (instead of avoiding things altogether). Some of the ways she avoids Zach are a little sneaky. Jesse: I love his passion for his music, and how conscientious he is when he’s making Madison’s hot chocolate! I do think his ego can get in the way when it comes to the band and sometimes he takes his friend Tanner for granted. 4 – In retrospective, is there anything that you’d change about the story or are you happy with the way it turned out in the end? Wow – this is a great question! First – I stand by the book as it is but I’m sure I could open to any section and get that desire to revise! I think that’s the nature of being a writer – you can always see ways to improve your work. At a certain point in the process you have to trust the choices that you’ve made and stick with them because you can drive yourself crazy since there are literally infinite roads to take in any story. In a much earlier version of The Secrets of Attraction, Madison was interested in Leif, the yoga instructor, and made advances toward him (which I’m glad I switched up!). The book was also slightly more tragic at one point, but then I made the decision to keep it light and fun and focus on the romance between Madison and Jesse, which is my favorite part to write! 5 - How long does it usually take you to finish a story? How long did it take you from first idea until publishing deal? This varies and depends if I’m working on deadline or not. If left to my own devices, I’m not sure how quickly I’d write a book. There’s a lot of staring into space during my process. My first novel length work (unpublished) took me three years to write (including multiple revisions). Ideally, a first draft for me can take anywhere from six months to a year, but I’ve written drafts in as little as three months. 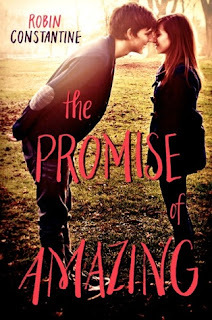 The Promise of Amazing took just under two years – it went through numerous revisions with my agent – and it sold about two weeks after being on submission. But to answer your second question –I wrote my first novel length story in 1998 – so it took me close to fourteen years to land a publishing deal. Perseverance is key. 6 – What do you think about the covers for The Promise of Amazing and The Secrets of Attraction? I adore my covers. I really lucked out. I think each cover captures the essence of the book. And I love the typography. Bravo to the design team! 7 – Where do you like to write the most? Very boring answer – at my home office. I have my desk and my creature comforts and an unlimited supply of coffee. I think I’d be too distracted to sit at a coffee house! Also I hate the feeling of someone looking over my shoulder as I write. 8 – What lead you to writing and wanting to be an author? Is it the way you imagined it would be? Reading. I was (and still am) a voracious reader – books, magazines, blog posts, news, etc. but mostly books. The book that really inspired me to become an author was Are You There God, It’s Me Margaret by Judy Blume. I’m not sure why it captured my attention the way it did, but I loved that book – I think because it was so relatable and funny and Judy Blume is a Jersey girl too! It’s everything I imagined and nothing I imagined. I love writing and creating and I love meeting readers – those are the fun parts. The business side – branding, social media, book sales, writing under deadline – is a little trickier. Yes it’s nice to have a dream come true, but it’s also a lot of hard work. The difference for me between being published and not, is that if I’m on deadline I need to write – even when the words aren’t flowing that easily. That can be tough. 9 – What is your favorite genre and why? I’ll have to say contemporary romance because it’s an escape! Sometimes though when I’m writing, I need to read something completely different from what I’m working on and then I turn to paranormal or thrillers! 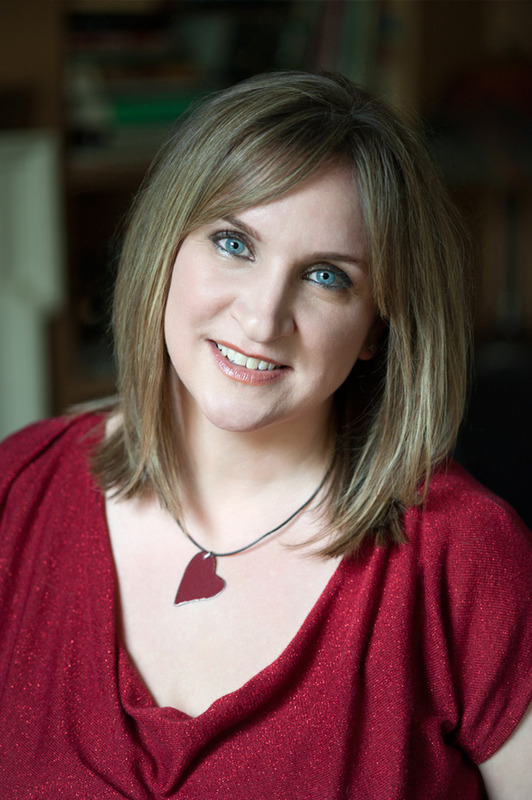 10 – What advice could you give aspiring authors? Don’t be in such a rush to send your work out – make sure you’ve gone through it, thoroughly, which means it’s imperative to have first readers. People you can depend on, not only to lift you up but to show you where you need improvement. I wouldn’t be where I am now without my writing group. If a group doesn’t work for you at least find a critique partner. Even one outside opinion can help. Find what you love about writing – this way when it gets difficult, you can remind yourself of that. There is always rejection at every stage, so just embrace it and persevere. 11 – If you could have any superpower, what would it be and why? I think I’d love to fly – the ability to get somewhere fast would be really handy!